Dubai: Ras Al Khaimah has always been a key member of the federation since becoming part of the UAE on February 11, 1972 under the leadership of Shaikh Saqr Bin Mohammad Al Qasimi. Located in the east of the Arabian Gulf, Ras Al Khaimah literally means ‘the peak of the tent'. 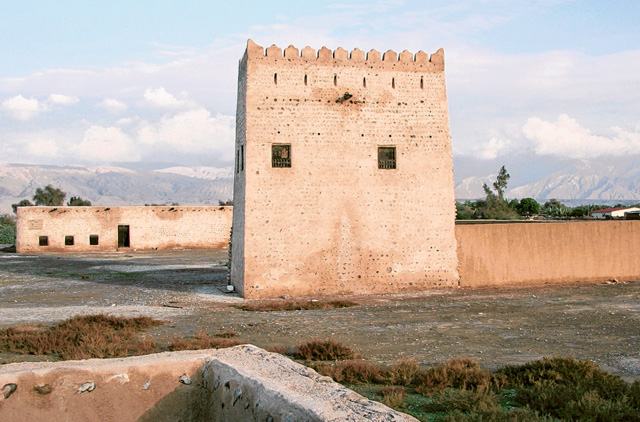 The history of the emirate dates back to the third millennium BC, according to historical records, and a number of historical and archaeological sites of various eras beckon visitors. Ras Al Khaimah is in fact the new name of the emirate — it used to be known as Julfar over the ages. Historical documents say that Julfar was located in the Shamal area and was inhabited by the Azdan Arabian tribe, an offshoot of the Kahlan tribe, which was one of the two branches of Qahtan, the aboriginal Arabs, the other being Himyar. In the early 18th century, Al Qawasim (the current ruling tribe of the emirate) set up base in Ras Al Khaimah. However, the early 19th century — between 1819 and 1821 — was an especially trying time in Ras Al Khaimah's history with the British naval force launching an invasion and gaining control of vast areas of the emirate with a view to putting an end to the maritime influence of powers such as Al Qawasim tribe. Like the rest of the emirates, Ras Al Khaimah signed the General Maritime Treaty with Britain in 1822. Based on the official decision of Shaikh Sultan Bin Saqr Al Qasimi, the treaty gave the emirate the status of a protectorate but helped keep the Ottoman Turks at bay. Ras Al Khaimah realised that its oil production was not sufficient to pursue an ambitious growth strategy and therefore it opted for an alternative industrial venture by opening the first cement company in the UAE in the early 1970s, a venture that is now considered the largest producer of cement in the country. The great success of the cement business led to the opening of the Ras Al Khaimah Ceramics Factory, which has gone on to become the largest ceramics producer in the world. The emirate's industrial growth was also spurred by Gulf Pharmaceutical Industries, better known as Julphar after the ancient name of the emirate. Julphar is widely considered the first pharmaceuticals company in the region. The authentic history of the emirate is officially preserved in the National Museum of Ras Al Khaimah. The museum showcases an interesting collection of exhibits on natural history, and arts and crafts, detailing bygone centuries in their finest details. The Jazirat Al Hamra, a forsaken ghost town, is hauntingly beautiful with well-preserved architecture of bygone times. In addition, the Dhayah Fort is the only surviving hilltop fort in the UAE and draws a large number of visitors.